Let’s just get one thing straight: Halloween is pretty much synonymous with the word “treats” — and we’re all in. October is saturated with all the best candy (though there are a couple of varieties we could do without), and there are all kinds of different DIY goodies we love whipping up all month. 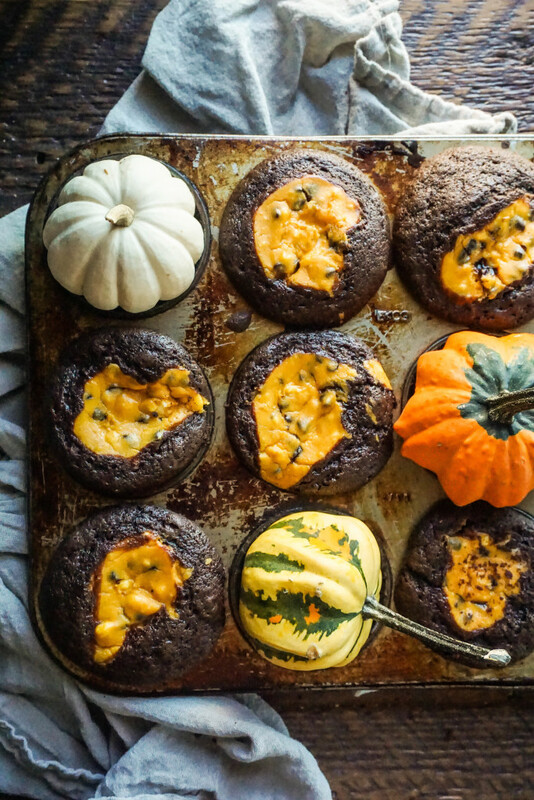 Heck, we’re even hyped to throw together some non-sugary Halloween foods when the mood strikes. 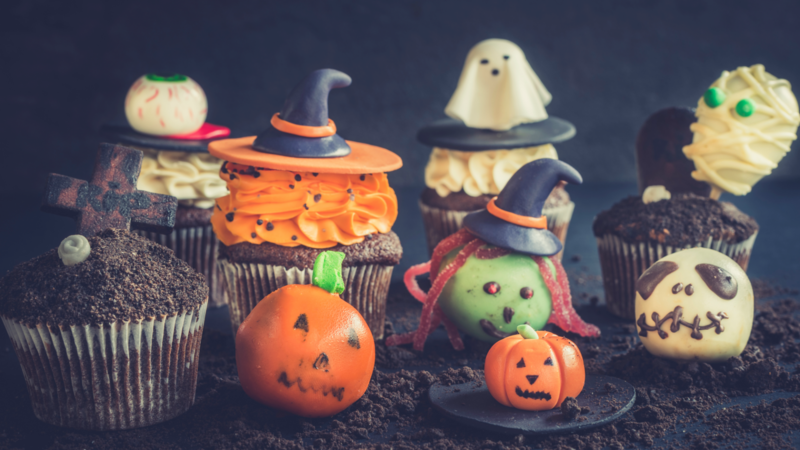 But if we had to pick one favorite treat that stands out above the rest, Halloween cupcakes are definitely at the top of our list. Maybe it’s the buttercream frosting. 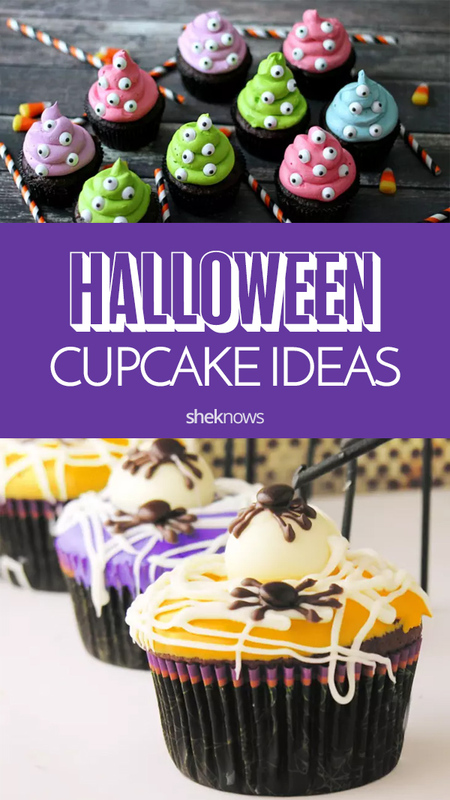 Maybe it’s the fact that cupcakes just always look so cute no matter how they’re dressed up — but All Hallows Eve-themed cupcakes are a total must. Don’t agree? 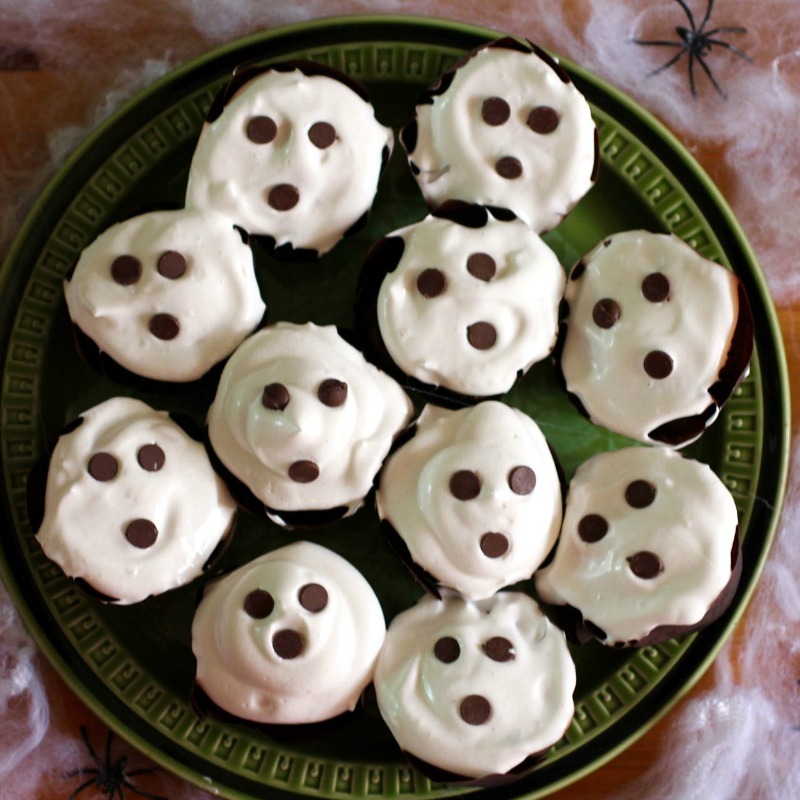 Try making any (or all) of these adorably scary recipes. We’re pretty sure you’ll change your tune. Yikes! 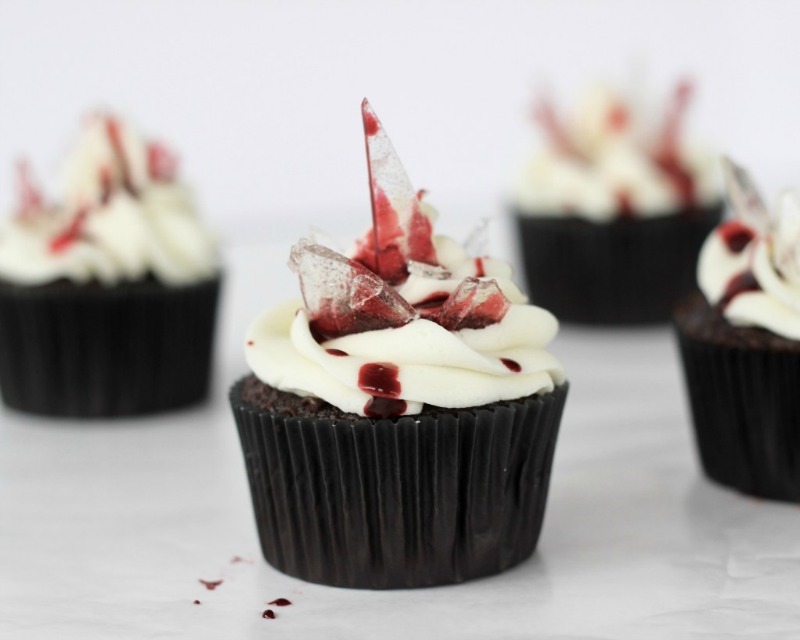 These bloody broken glass cupcakes are almost too scary-looking to eat. 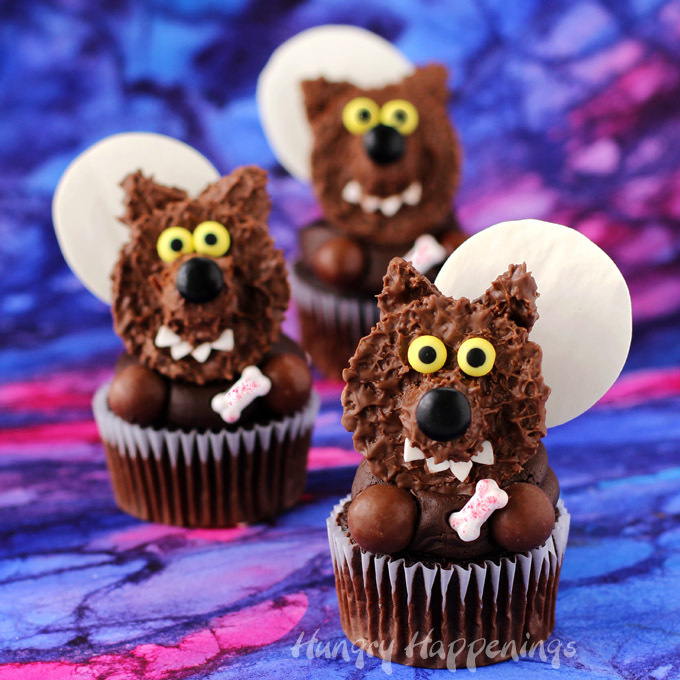 These peanut butter-chocolate cupcakes make werewolves fun, not freaky. 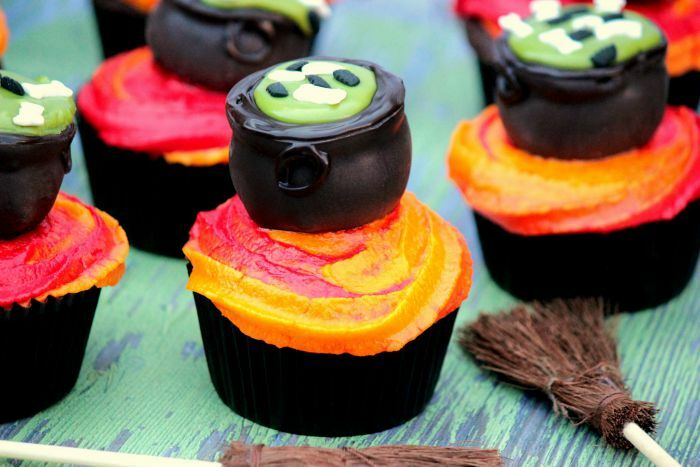 Each bite of these colorful cauldron cupcakes tastes a little bit like magic. 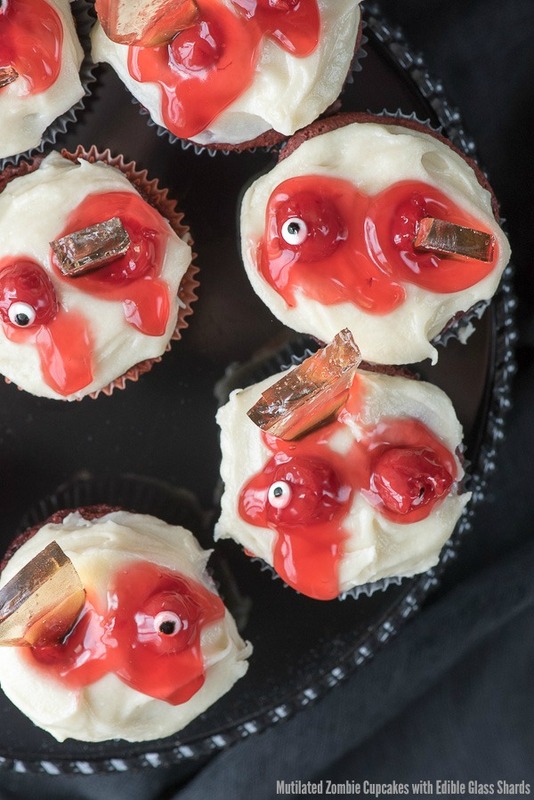 Strawberry jam takes the place of blood in these gruesome cupcakes. 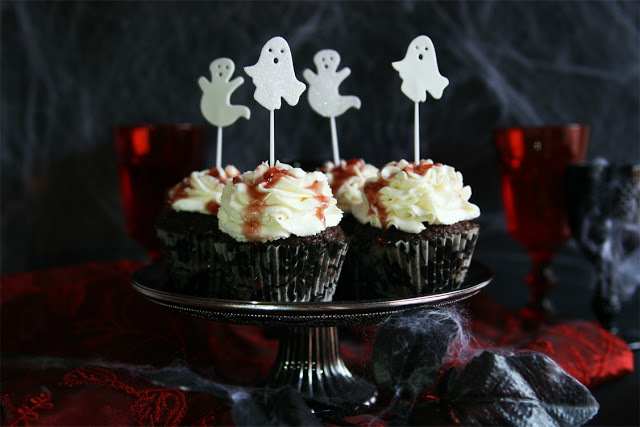 Marshmallow fluff made with aquafaba (bean water) tops these chocolaty vegan ghost cupcakes. 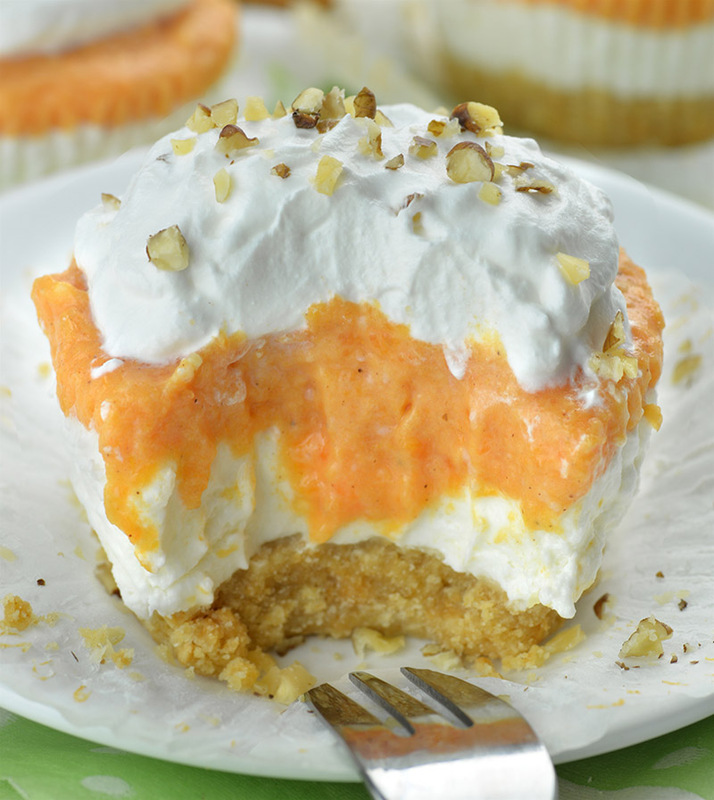 Fluffy, creamy pumpkin lasagna cupcakes are the perfect treat on Halloween night. Eating spider egg sacs goes from stomach-churning to taste bud-tingling thanks to these arachnid cupcakes. 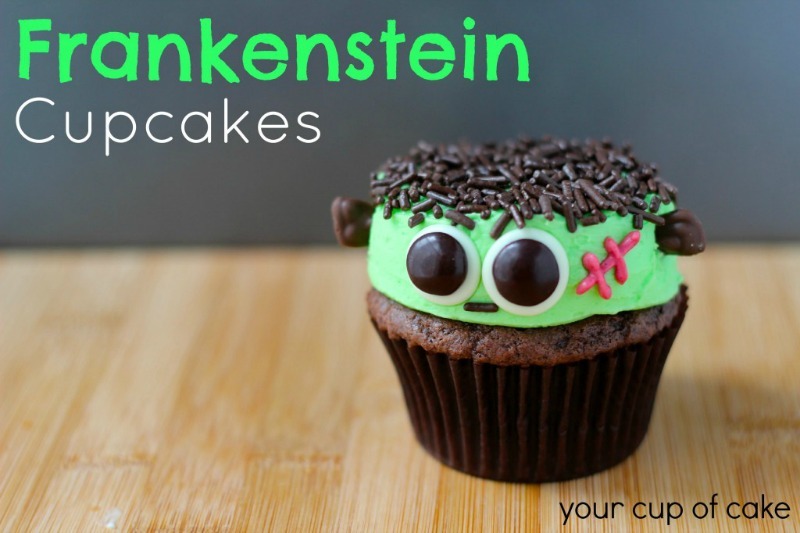 Frankenstein gets a little less scary thanks to these cute cupcakes. 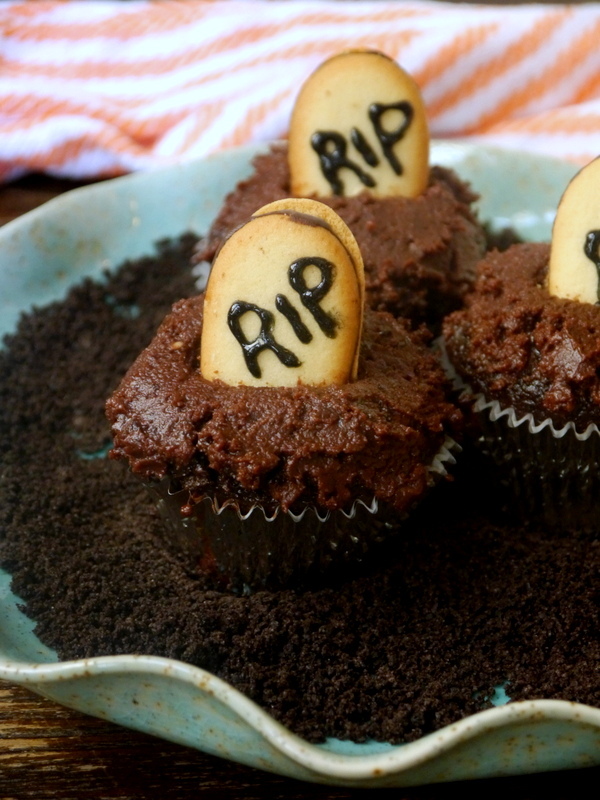 Milano cookies stand in for tombstones atop these graveyard cupcakes. 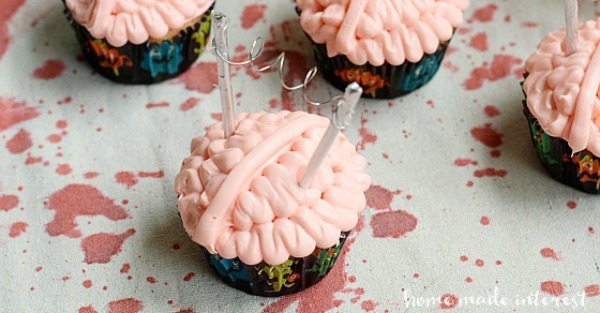 Cater to your zombie friends this Halloween by serving up these creepy brain cupcakes. 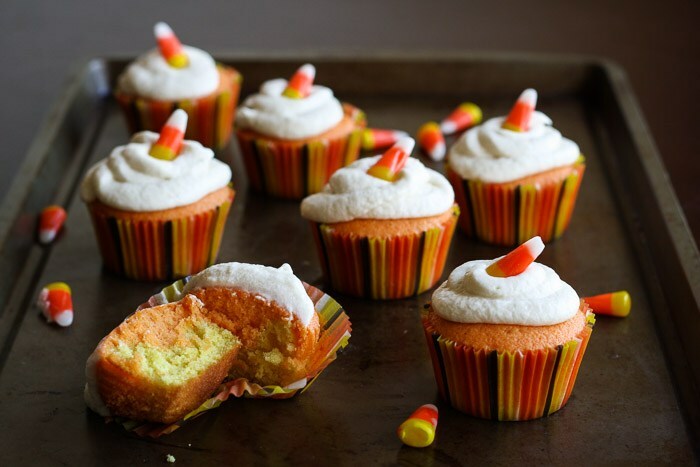 Layered vanilla cupcakes topped with fluffy frosting are a fitting tribute to candy corn. 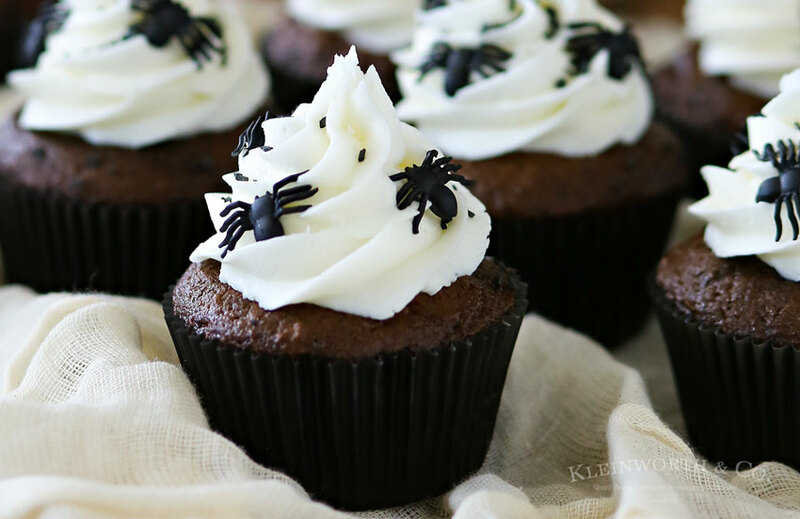 Pumpkin-chocolate cupcakes are an orange-and-black treat that will match the rest of your Halloween decor. These gluten-free mutilated zombie cupcakes are a ghoulish treat the whole family can enjoy. 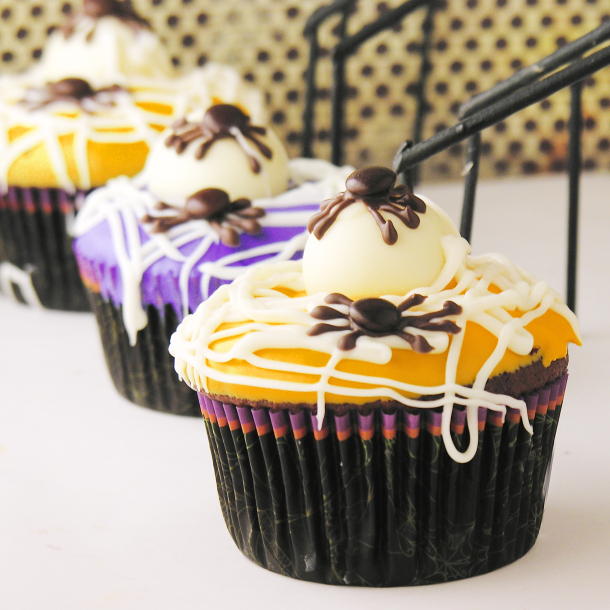 Creepy spiders dot the top of these chocolaty Halloween cupcakes. 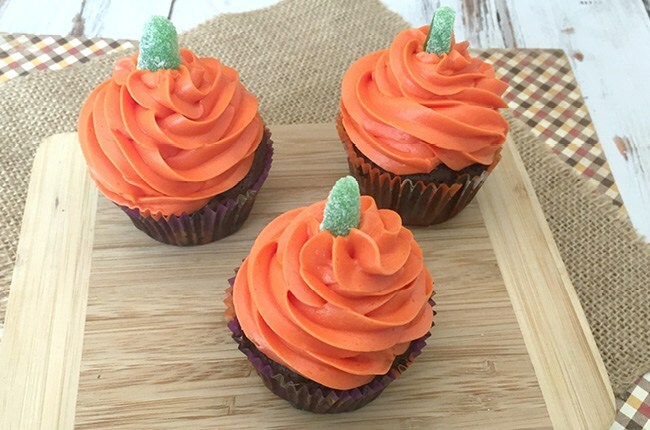 Fluffy mounds of orange frosting make these cupcakes look just like pumpkins. 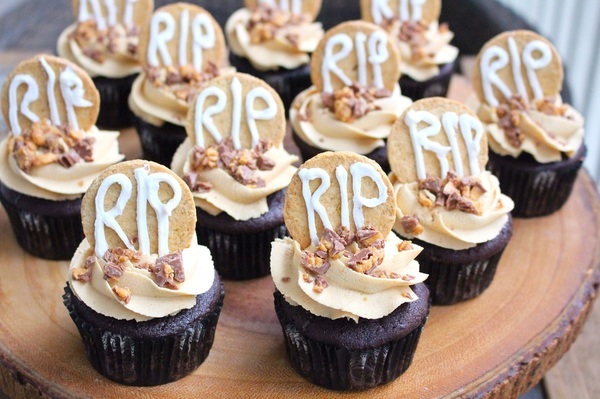 Peanut butter frosting, caramel sauce, candy and cookies top these ultimate Halloween cupcakes. 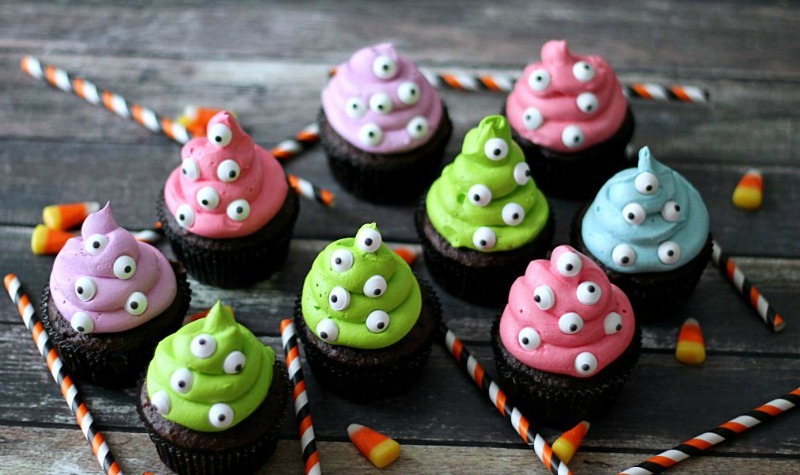 Edible googly eyes make putting together these monster cupcakes a total cinch. 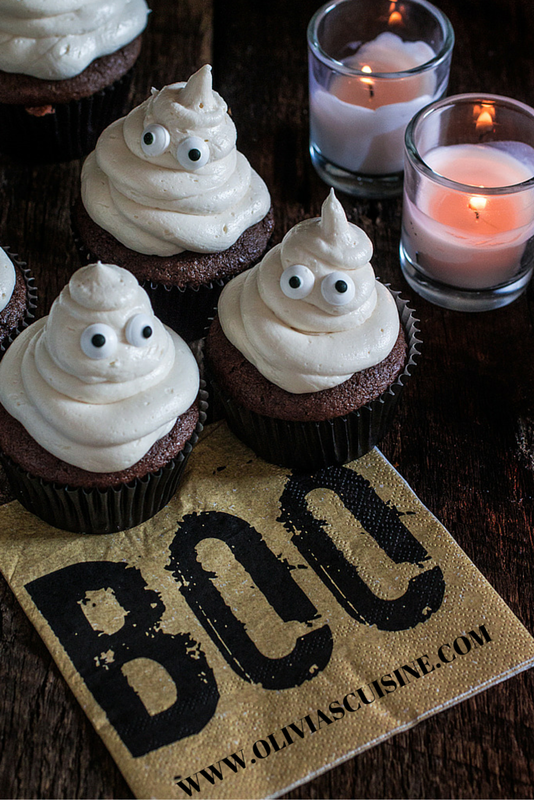 Marshmallow buttercream ghosts top these spookily tasty cupcakes. 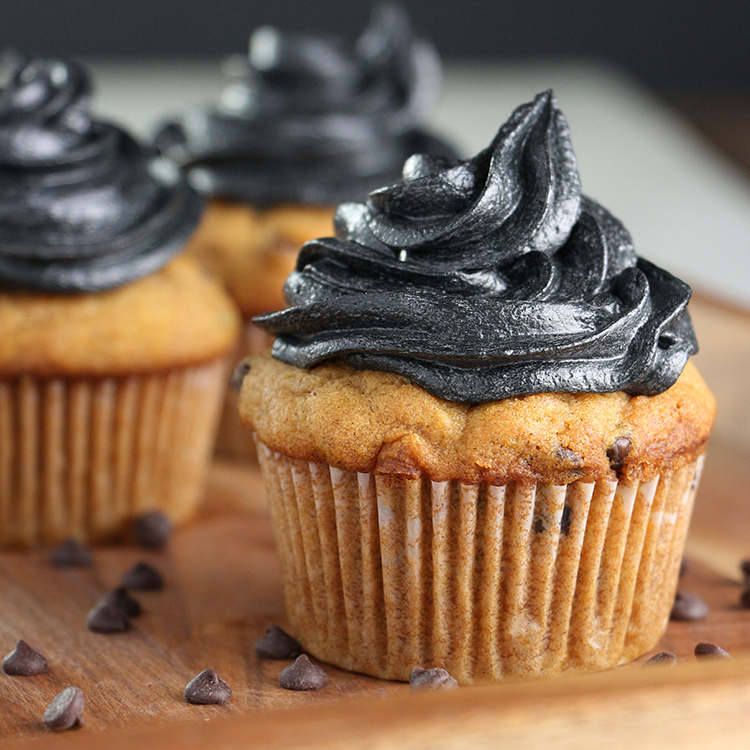 Black frosting adds a Gothic flair to these moist pumpkin-chocolate chip cupcakes.